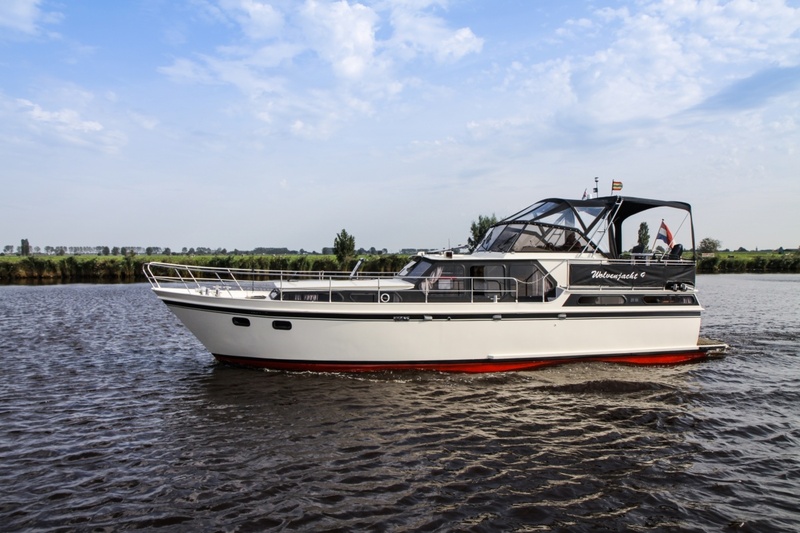 The Wolvenjacht 9 is a falcon cruiser with beautiful classic lines and a nice upper deck. 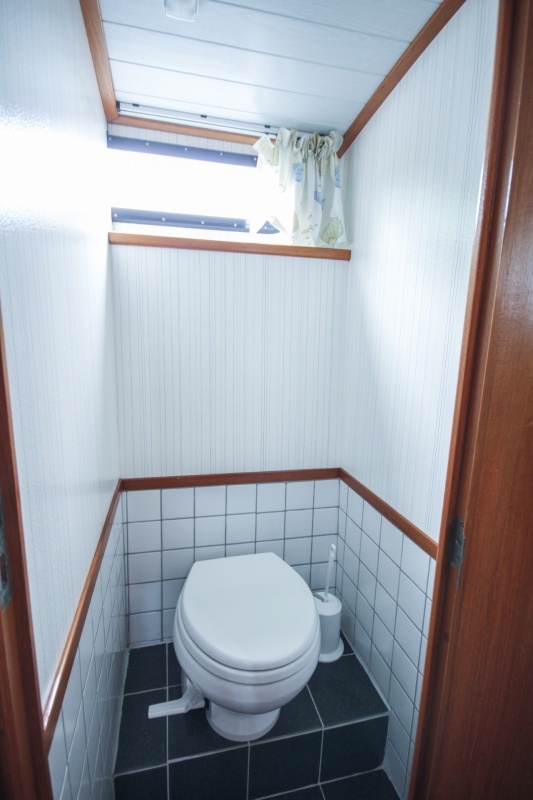 Not only the exterior has been thought of, the interior has also been well designed. 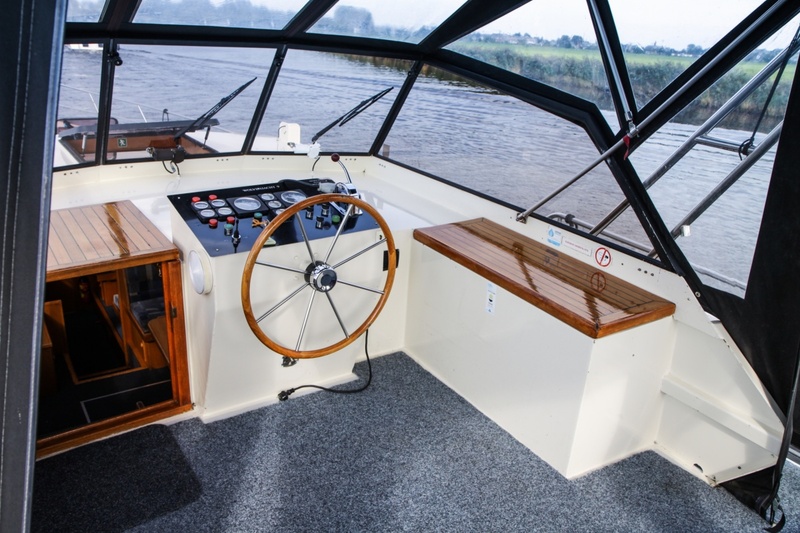 Thanks to the open layout, the Wolvenjacht 9 is one of our most atmospheric ships. 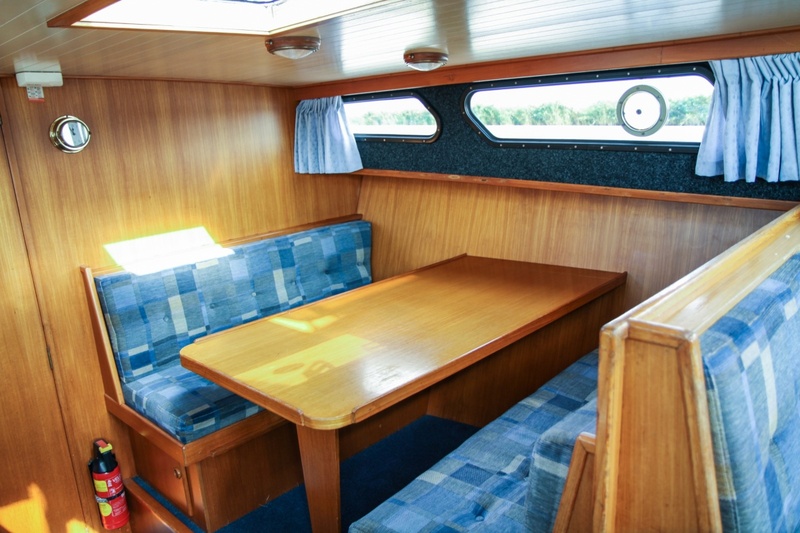 Cosiness is guaranteed for up to eight people, both inside and out. 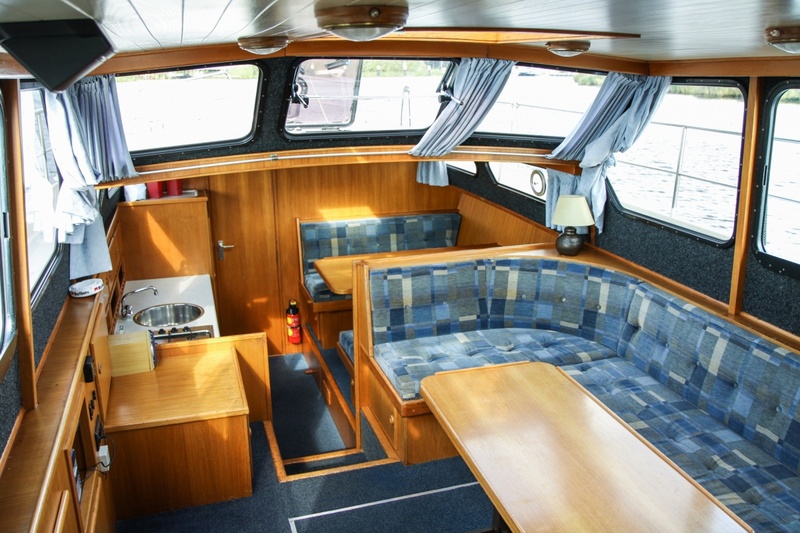 The Wolvenjacht 9 is a ship for six to eight people. 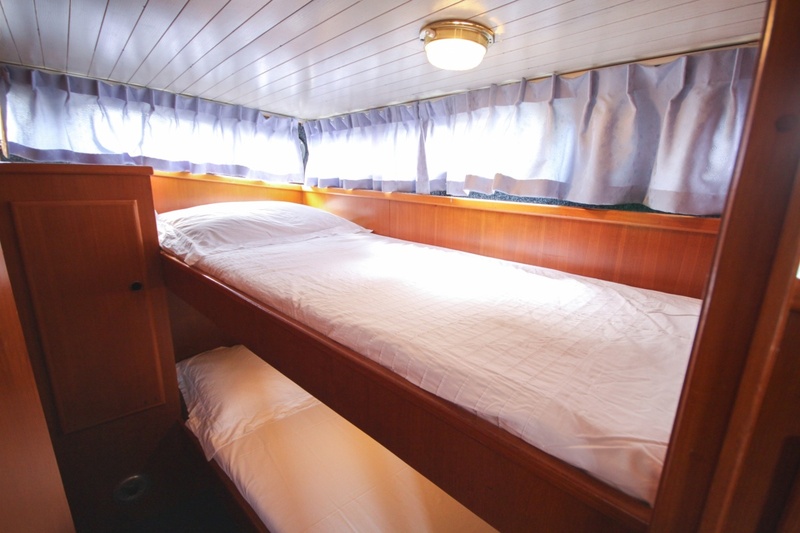 Because of the spacious berths and the large deck it is a very popular ship. 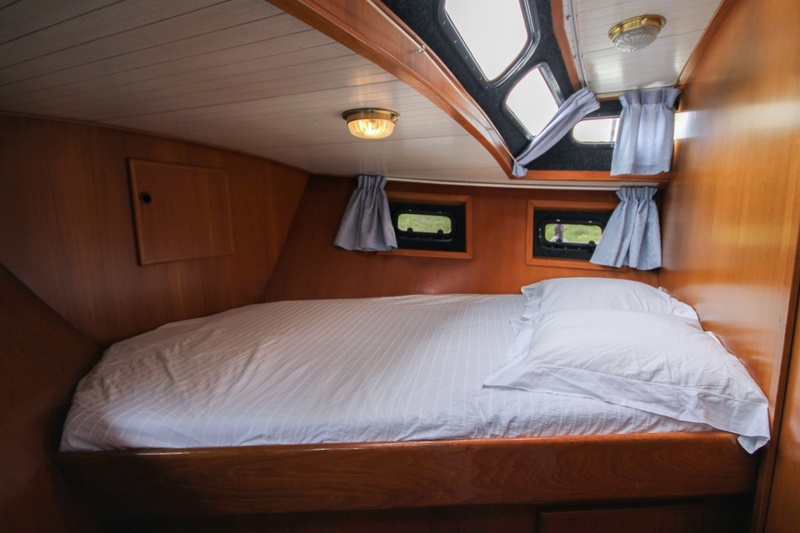 There are three bedrooms on the boat, two of which have a double bed and one with two beds above one another. 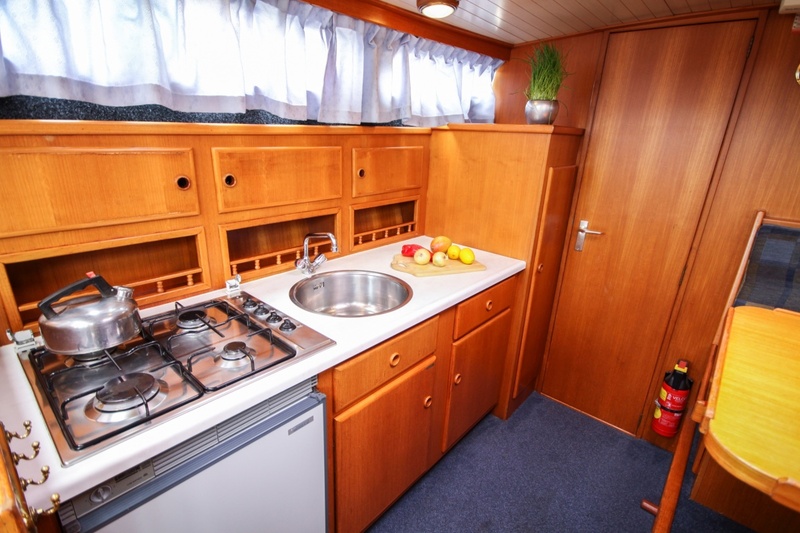 The dinette opposite the kitchen can be converted into a double bed. 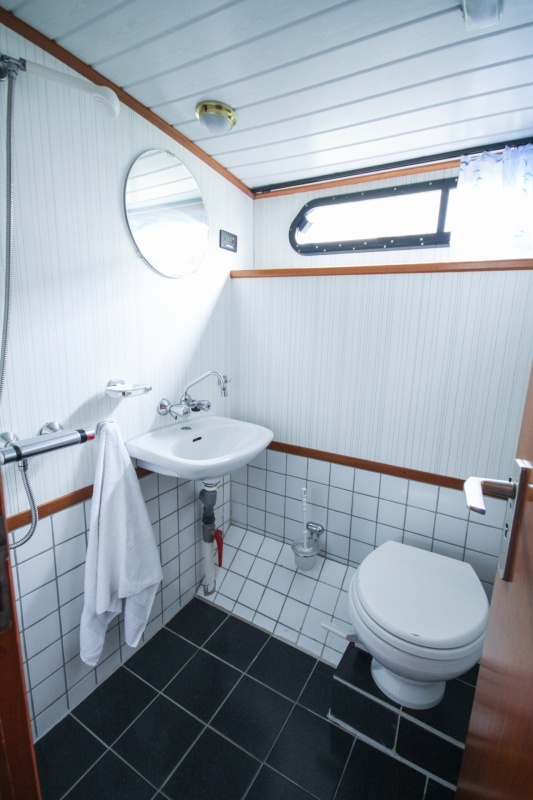 There are two toilets and a shower on board. 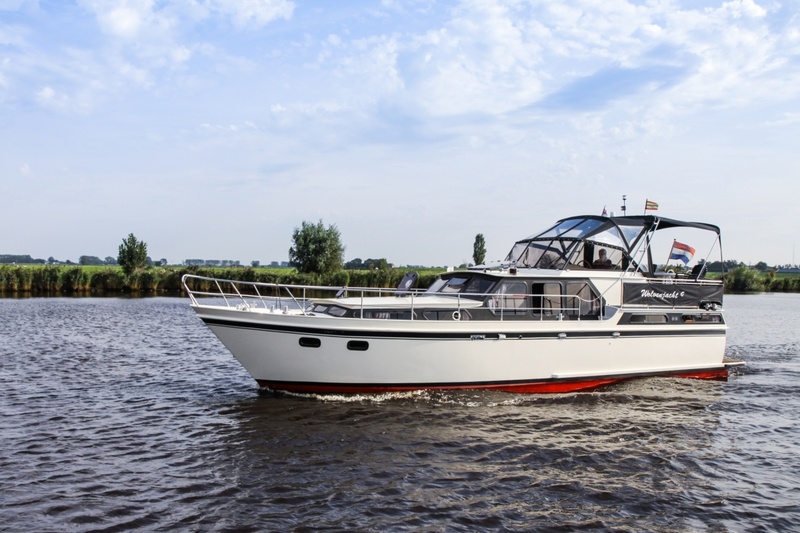 The Wolvenjacht 9 is admitted on the IJsselmeer, but because this falcon cruiser is not very stable due to its hull shape, we recommend that you only enter the IJsselmeer in calm weather. 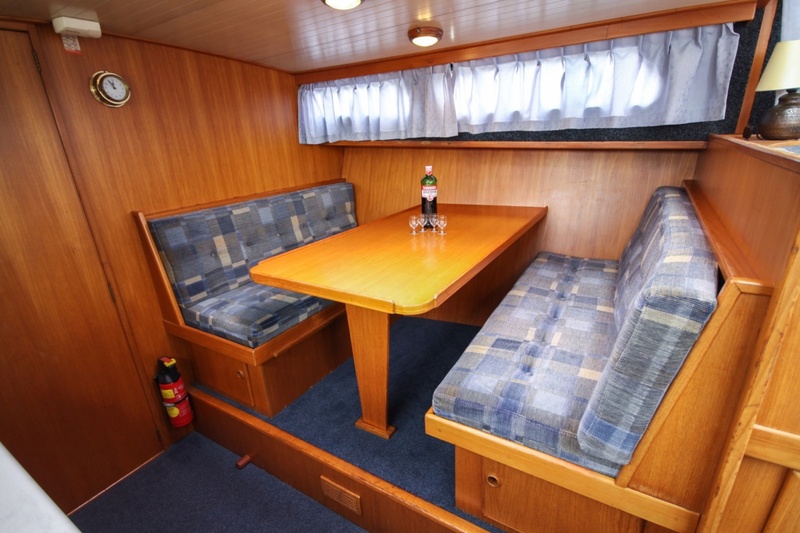 The ship is very easy to sail and from the deck you have a good overview of the boat. 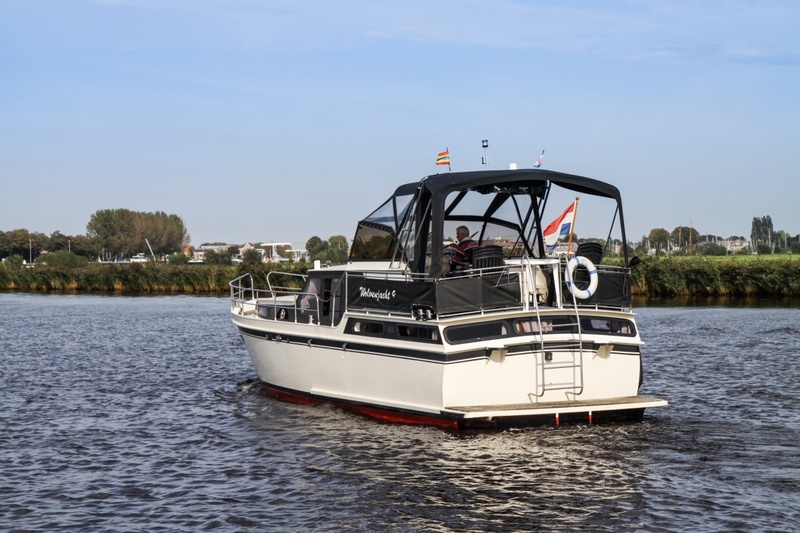 The big advantage is that the hydraulic thruster has a lot of power and helps you with difficult harbor maneuvers. 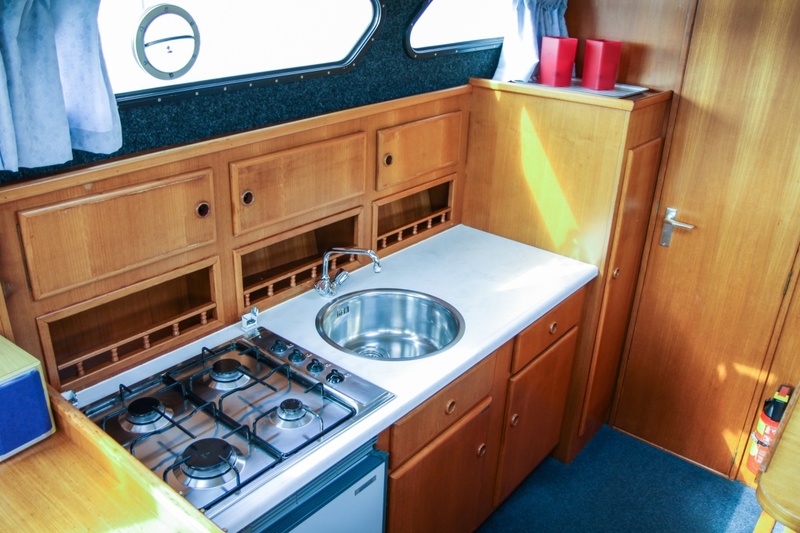 The ship has a land supply connection, so that all batteries can be charged. 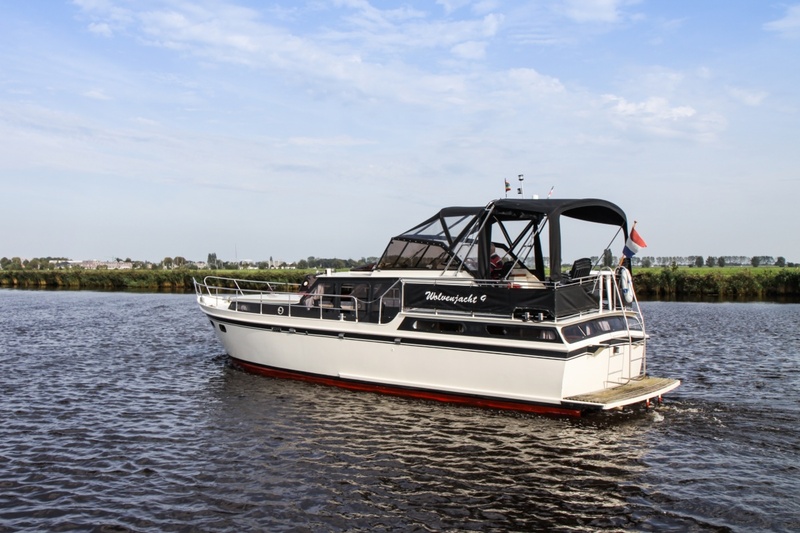 A small inverter (150 watts) is present for when there is no shore power available. 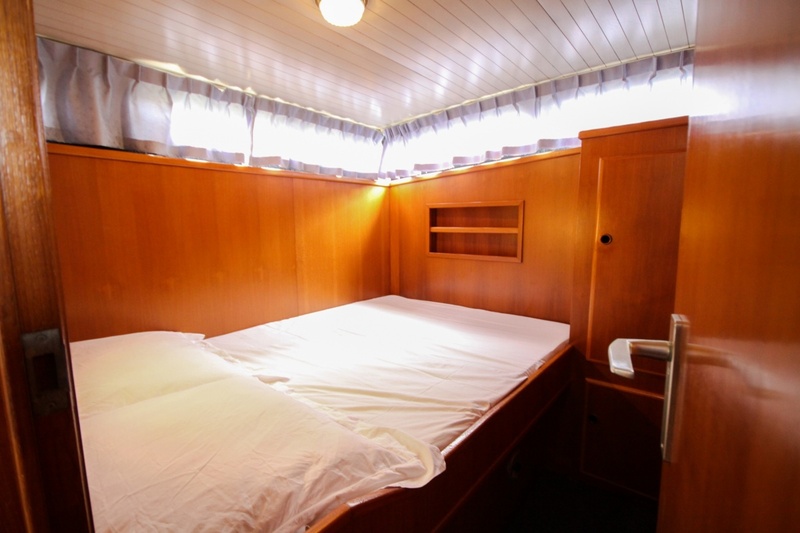 The ship is also equipped with a radio/CD system, fridge and heating. 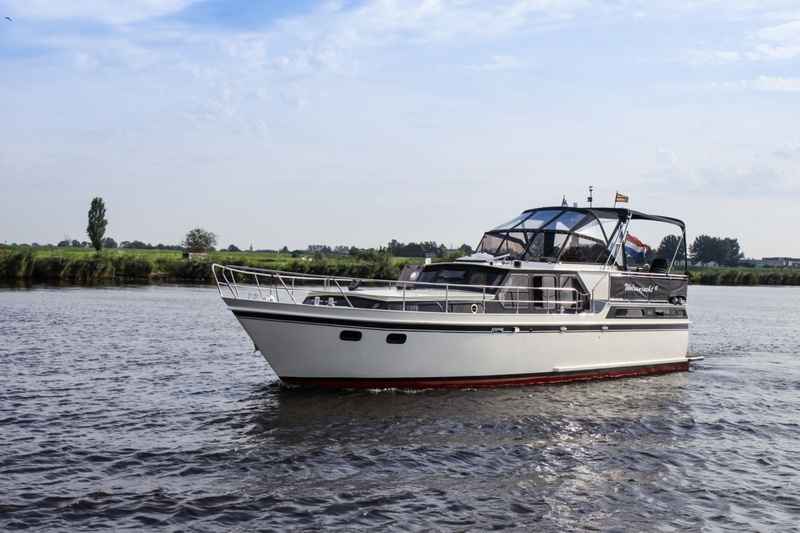 De Wolvenjacht 9 can be rented from Saturday to Friday, where you can board the ship from 6 pm on the Friday and leave the harbour on Saturday from 9 am. The next Friday you have to return the ship before 1 pm.